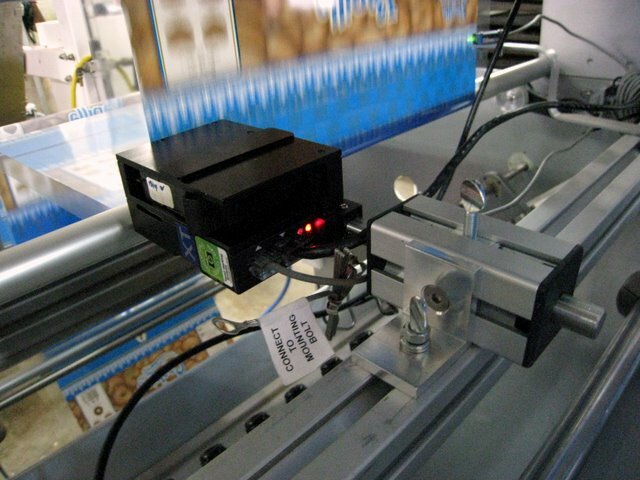 Trend Marking Systems Australia specialise in simple and low-cost product marking and labelling equipment. Whether you need direct printing or if you need equipment to print or label packaging, we have an industrial alternative for you. We can cover many applications, from printing use-by dates or batch codes on packaging to etching high quality logos onto a metal product for that professional finish. Please browse through our site for a solution and feel free to contact us for further information. Low-cost EVOLUTION-1 inkjets can be used for printing large text onto cartons, or as a small character printer with 2 lines of text! Inks are formulated for porous or non-porous substrates. Electrolytic etchers are perfect for permanent marking of various conductive metals. Our metal etching systems use a unique electromarking technique & NO corrosive acid for product marking. Using an indenting pin, the dot peen machines create a series of dots, forming a line. Program the engraver to stamp text, serial-numbers, datamatrix barcodes and logos on almost any material. Perfect for hand marking items manually - without the requirement of a conveyor. Mark round , thin or uneven products by hand, whether paper, plastic or metal. This Compact Ink Jet is a mobile solution to printing text, barcodes graphics and dates. Compact and flexible, this is the perfect solution for manual coding. The portable inkjet printer pen works using inkjet technology but operates like a pen, allowing a user to "write" on a surface with consecutive serial numbers, time-stamps, date-codes or just plain text. Simple and low-cost, Trend's range of roller-coders can print on both porous and non-porous materials, are easy to install and operate and are suited to printing in a range of colours. Hot Quickcoders can print moving or stationary products from any orientation. For product marking of plastic films, bottles, cartons, metals, glass of many shapes. Trend's surgical instrument etchers can easily be used for safely marking or etching medical equipment as per infection control guidelines. Jantech printers are an ideal solution for small parts like electronics components. These units operate like padprinting with offset pads or direct printing using paste letterpress inks. Simple pneumatic stampers use rubber typesets for coding a variety of products. The reciprocating typeholder re-inks each printing movement for manual and automatic applications. Economical small character inkjet printers. Our inkjet coders are ideal for batch numbers, production date coding or just printing one or two line text messages on products. Low-cost large character inkjets for large format messages. Ideal for outer carton coding or any application requiring reliable and low maintenance ink-jet marking systems. A simple and low-cost inkjet marking unit for spraying a single dot or row of ink dots in various colour inks for easy visual identification on various parts. Either by offering alternatives to these types of product marking machines, or through partnerships through Trend's business network, we can help find the best solution for Laser Marking Systems, Hotfoil Stamping Machines, or Product Labelling.